LISTEN to today's conversation with Lee Aronsohn. Magic Music is one of the most fondly remembered bands of the Boulder Revolution of the late 60s and early 70s. Living in a makeshift camp up in the mountains, they would delight local residents and university students with their original songs, acoustic instruments, and light harmonies; their growing popularity brought them to the brink of success more than once. Unfortunately, they never signed a record deal and eventually broke up in 1975. 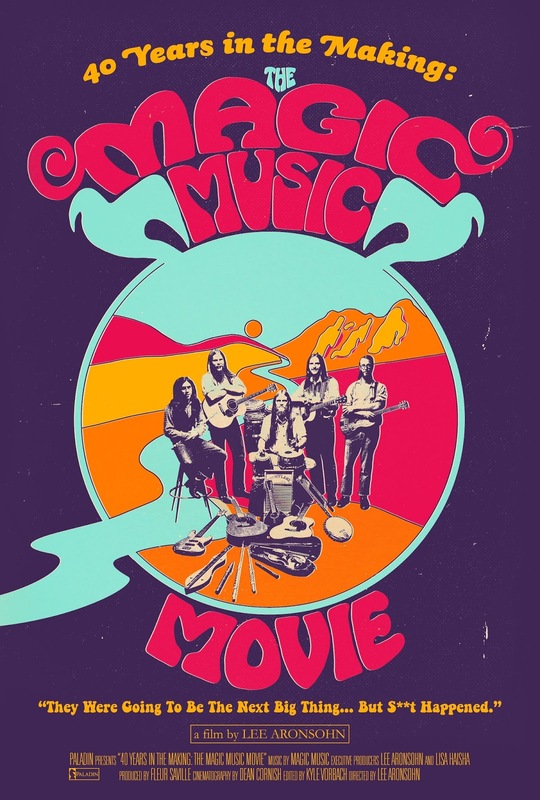 40 YEARS IN THE MAKING: THE MAGIC MUSIC MOVIE chronicles how one of their greatest fans, acclaimed director (and UC Boulder alumnus) Lee Aronsohn, tracked down the original band members four decades later to tell their story. More importantly, he makes a dream come true for himself, fellow fans, and the band, by bringing them all back to Boulder for a sold-out reunion concert that preserves their legacy for posterity. 40 YEARS IN THE MAKING: THE MAGIC MUSIC MOVIE opens in theaters on August 3 with additional markets to follow. The Orchard will release the film digitally on September 4. The film is written and directed by Emmy-nominated writer-producer Lee Aronsohn (Two and a Half Men, Big Bang Theory) and produced by Fleur Saville. Executive Producers are Aronsohn and Lisa Haisha and Producer is Jeff Jampol. Cinematography is by Dean Cornish with editing by Kyle Vorbach.